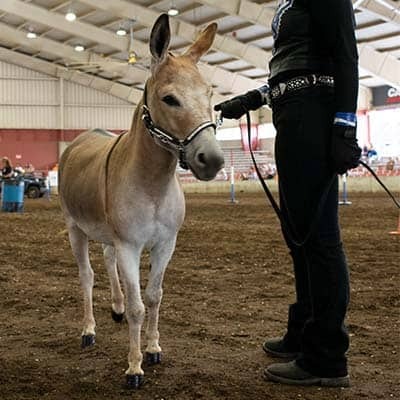 Each year, over 30 donkeys, miniature donkeys and mules are shown by their exhibitors at the Wisconsin State Fair. Read on below to learn more about donkey terminology, where you can find them at the Fair, and the type of competitions they are shown in during their stay. 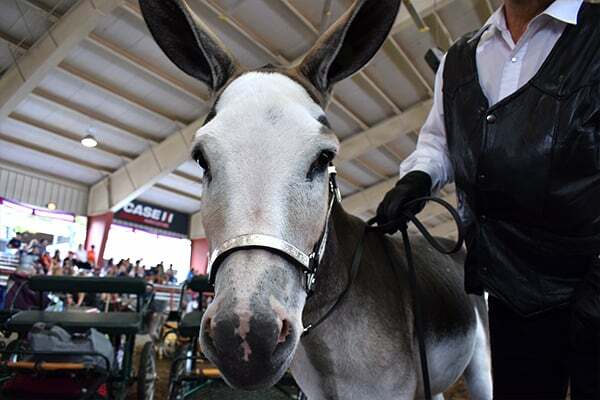 Donkeys are shown by their exhibitors at the Fair between Sunday, August 4 – Tuesday, August 6. The Livestock/Horse Barn is open daily from 9 am – 9 pm except where noted in the table above. 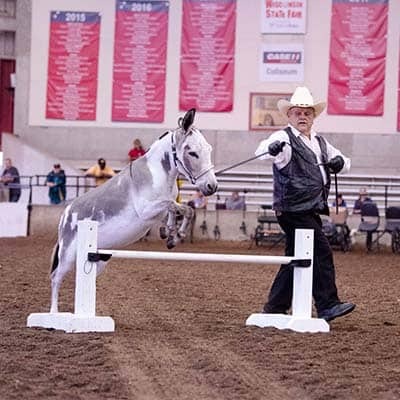 All donkey shows are held in the Case IH Coliseum. Performance: exhibitor and animal compete in timed speed events, which may include obstacles, patterns, driving, pole bending, novelty costume, etc.